Here at Dunlap Marketing, we’re not mountain climbing experts. However, we do know there are multiple resources that should be utilized to reach the peak! A rope, harness, helmet, boots, navigation, first aid, and nutrition are a few items that come to mind. If you chose to bring just one of these along, chances are you wouldn’t make it far up the mountain. Imagine attempting to climb a mountain with just a rope! The various resources work together, helping you accomplish your goal – reaching the top of the mountain. In this aspect, lead generation is quite similar to mountain climbing. Utilizing multiple resources will help maximize your results. Telemarketing, social media marketing, search engine optimization, email marketing, direct mail, and content marketing are all examples of lead generation techniques. When used together, various modes of lead generation complement each other. Utilizing multiple approaches helps to broaden your reach, touching different segments of your target market. Additionally, when they overlap, your message is reinforced. 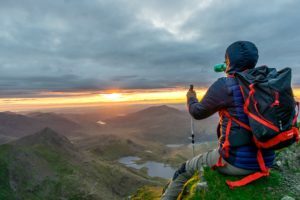 Set yourself up for success in lead generation, just like you would for mountain climbing – how could utilizing multiple lead generation approaches increase your sales numbers? Need help getting started? Check out our FREE eBook, or contact us today.